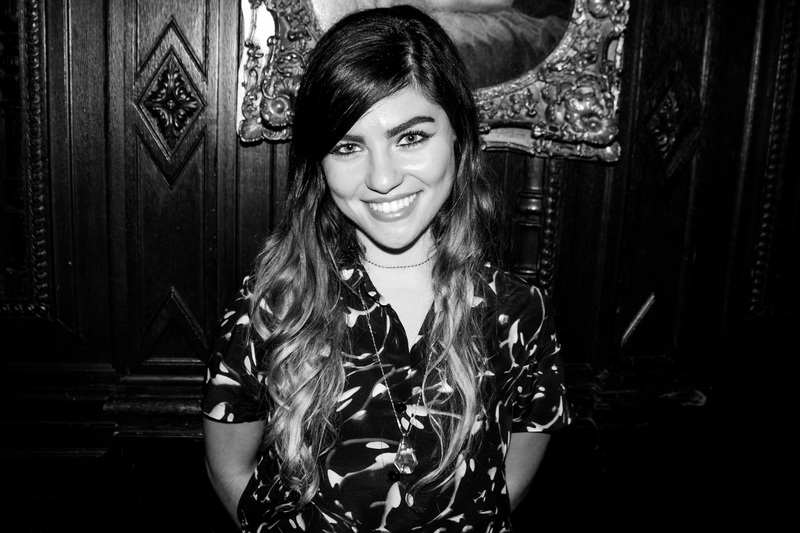 Los Angeles singer-songwriter Phoebe Ryan is an artist on the rise. Being widely considered as one of this year’s biggest breakout artists, Ryan is setting herself up for a very promising career. With less than a year under her belt, Phoebe Ryan has successfully released her first EP Mine, signed a record deal with Columbia Records, has over 25 million plays on Spotify, performed at Bonnaroo & Firefly (and is set to hit the stage in Chicago at the North Coast Music Festival), and is also keeping herself busy this fall with a North American tour with Say Lou Lou. We first got turned on to Ryan with her impressive rendition of R. Kelly’s ‘Ignition’ & Miguel’s ‘Do you’. Her unique spin of the mashup received high praises from the likes of many, including R. Kelly himself. Since then Ryan’s original music has taken over her growing popularity. Ryan held an intimate showcase in Chicago last night at The House of Blues’ Foundation Room. We were able to catch Ryan’s show which included songs from her Mine EP and of course her ‘Ignition/Do You’ cover. Ryan’s intimate show was the perfect setting to really capture her pure talent. Although she is new to the music scene Ryan’s stellar performance could have been seen as one done by a seasoned veteran. Pulling off both a shy and powerful performance, Ryan’s down to earth lyrics set a mood that only she herself could set. Ryan’s soulful voice effortlessly captured her persona as a rising star. If you weren’t there last night, don’t worry! Ryan will be returning to the Windy City in less than a month, as she performs at the North Coast Music Festival in Union Park on Saturday, September 5th (single day tickets for Saturday are still available here). Meanwhile watch the music video for Phoebe Ryan’s single ‘Mine’ below.